In my opinion is/was the leader in payphone equipment. Protel was founding in 1983 about one year after the breakup of Ma Bell. 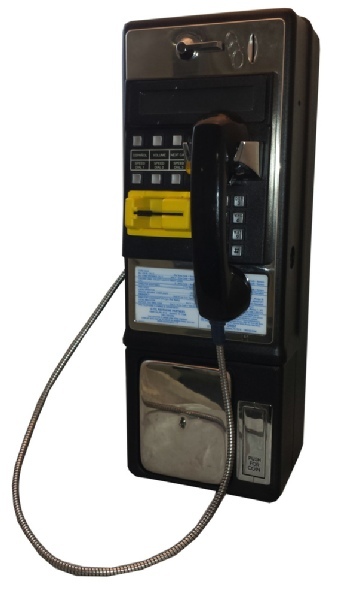 Protel became the worlds leading payphone manufacture with their Patented “Smart Line Powered Technology” meaning the phone was powered via the phone line, an industry first. 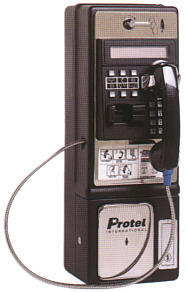 Thru out the 1980’s Protel sould over 1,000,000 payphones and were sold and placed into operation in over 72 countries. As time pasted Protel payphones incorporated both wired and wireless (cell) technologies while providing coin and credit card payment methods. Protel was the first company to provide remote monitoring of its payphones in the field via Expressnet.  This allowed both the server and the phone to report amount in the coin box, non-completed calls or inactivity reports, how many calls and there numbers, hardware issues with the phone and much more. In the late 90’s Protel began to incorporate its smartboard designs into other types of equipment to allow remote monitoring of vending equipment. By 2001 Protel was providing wireless monitoring in a wide range of vending applications. Protel is currently manufacturing equipment like coin vacuums, fuel station monitors and other equipment used at service stations. Protel made a wide range from boards starting with the Protel 2000, 4000, Western 8000, 9000, 310, 7000 7000c and 1000. The 7000c boards are still being produced today and can be found in the Protel Ascension and Ascension Plus (what we use in our Payphones). This is the oldest model and first line powered smartboard. It uses and old voice prompt and has a 300 baud only modem. This board does not have NVRAM and will lose it programming if the phone line is removed as well as the batteries. If you have a phone with this board I would change it out with a 310 or 7000. 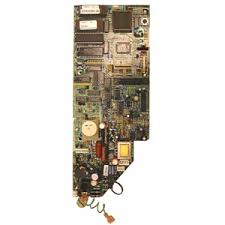 This is board was used in both regular payphones or also what Protel call Semi Private payphones. This is a cool little board as you can program it via Expressnet or basic setup with the keypad. 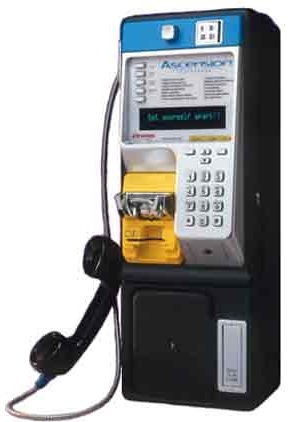 The Protel Semi Private Payphone (nice for home use) was used by places that wanted to run their own payphone but did not want to register with the FCC and a utility company.  Protel's newest model of payphone smart board. Much like the 7000 board this uses new English or Spanish voice prompts which the user can change and uses a nonstandard modem. To help bolster security in oderder to program these baords you need to use a protel modem. The 7000 & 7000c model also supports coin line use as well as mechanical or electronic coin scanners. The 7000c allows the use of credit card scanners and LCD or Vacuum Florescent displays. A BIG plus with the 7000c is flash memory so you no longer have to change out firmware chips and the will retain all setting if loss of power due to NVRAM. The Protel Ascension and Ascension Plus use the 7000c board and allows the installation of a modem on the 7000c board so users could hook their laptop and dial into their ISP (very high tech for its time). This board was made to convert MA Bell (The Fortress) coinline payphones into a cocot. The older Fortress board C25 needed a local office and a 48 volt coin line to work. The older Fortress phones could be controlled by a Bell System Operator. As time went on many phone companies switched to these boards or Elcotel’s Western Series 5 board as this was much cheaper to run then a coin line phone.